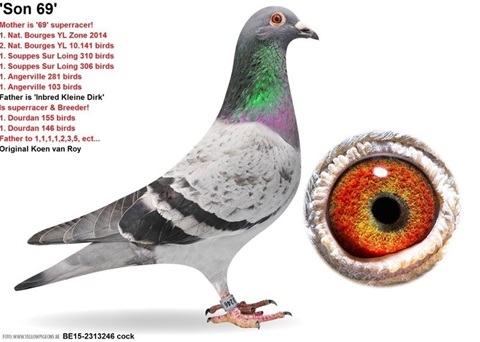 Our breeding pair 17 / 2019 is updated at our web page and consit of a nice sire from Koen van Roy, and a hen from C&G Koopman. The sire is inbred "Kleine Dirk" combined with inbred «Olympiade 003». He produced three nice youngster with final arrivals in his first breeding year 2018 at our loft. The hen "Glossy" is inbred "Dromer" (double granddaughter) x "Emalia" (direct child to "Kleine Dirk").